In 1907 the original Star-Spangled Banner flag was obtained from the family of LTC George Armistead, who was the commander of Fort McHenry. 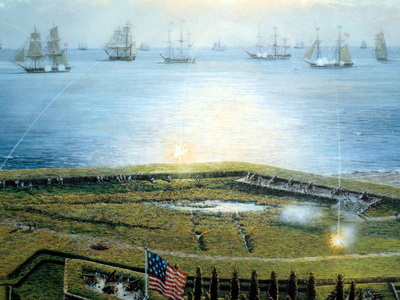 During the battle, Armistead had commissioned the flag from a Baltimore seamstress, Mary Pickersgill, telling her to make the flag so large that the British fleet would be able to see it. 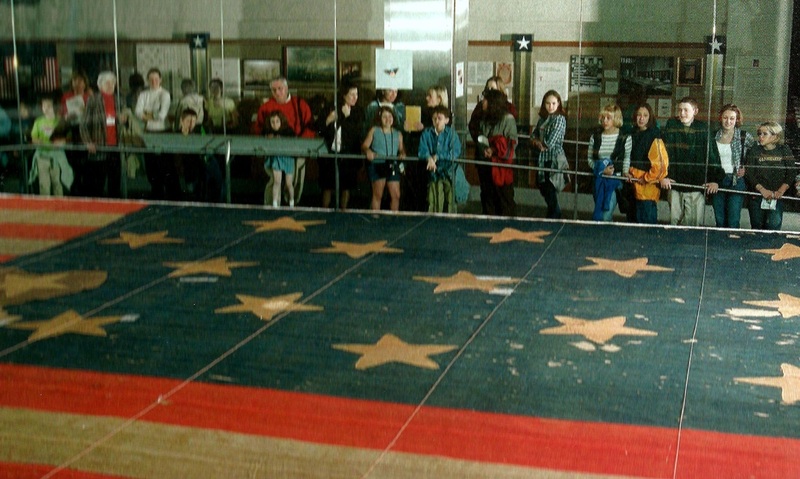 To assemble the vary large flag, Mrs. Pickersgill used the floor of a neighboring brewery. The garrison flag that Mary made for FT. McHenry was 30 x 42 ft, about one-quarter the size of a basketball court. Each star was about two feet across. The U.S. Army paid $405.90 to Mary Pickersgill for making the flag in 1813. (www.saratogaflag.com) When the flag was brought to the Smithsonian, it was hung on the wall of "the Castle" so that it could be photographed. The flag was tattered because of its age; and because the Armistead Family had given parts of the flag to others. Below are pictures of the flag before it was restored and is now on a special display in the Smithsonian American History Museum. This year marks the 200th anniversary of the Battle of Fort McHenry and the birth of the Star-Spangled Banner. 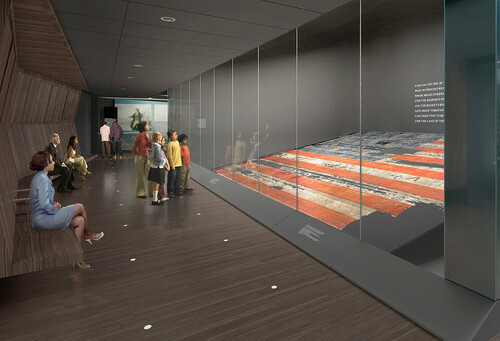 For about six weeks, the original Star-Spangled Banner manuscript will be moved from the Maryland Historical Society to Washington D.C. to be displayed with the flag. 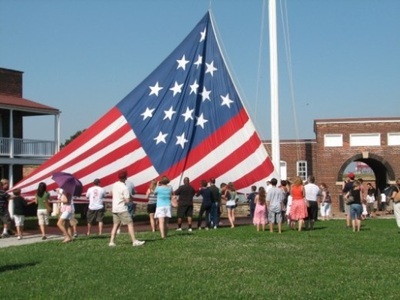 http://baltimore.cbslocal.com/2014/05/27/star-spangled-banner-manuscipt-will-join-flag-at-smithsonian/. CBS news report. “Star-Spangled Banner Manuscript Will Join Flag At Smithsonian”. May 27, 2014 4:15 PM . 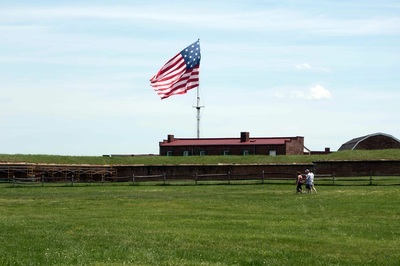 This report indicates Francis Scott Key’s original manuscript of “The Defense of Ft McHenry” aka “the Star- Spangled Banner” will go on display this summer at the Smithsonian with the original 15-Star flag now preserved there. It will be on loan from the Maryland Historical Society. Pastor Dudley Rutherford explains the story behind the Star-Spangled Banner. This is the original 1814 version of the Star-Spangled Banner. Even through the years; the Star-Spangled Banner still gives America the symbols of hope and unity through the hardest times. In conclusion I believe that the war of 1812 was a turning point in American history because it left two a lasting symbols of American national pride. 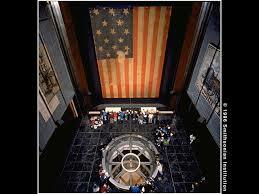 One was the “Star Spangled Banner” flag which is now held at the Smithsonian in the American History Museum. 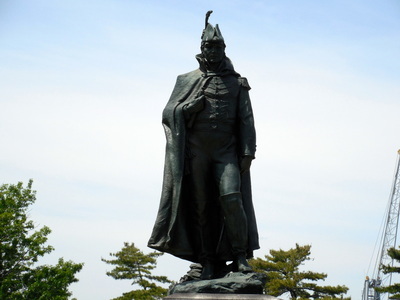 The other was the historic poem written by Francis Scott Key that became our national anthem. The British attacks on America were the last attacks on American soil by a foreign power, until the attack on Pearl Harbor almost 127 years later and the terrorist attacks on 9/11. The War of 1812 left America with an understanding that we needed a strong military to protect us. The symbol of the American flag flying after the battle of fort McHenry became a symbol that America would not be defeated anywhere the flag survived and continued to fly. The British attack and burning of the White House was a low point in American history. If the British had managed to successfully attack and burn Baltimore, the history of the United States could have been a lot different. We could have been forced to allow England to have power and control over our nation. This would have destroyed our unity and our national pride. Every 4th of July, people are reminded of the victory of Fort McHenry when fireworks re-create the “bombs bursting in air” while our flag is still there.